Hello! 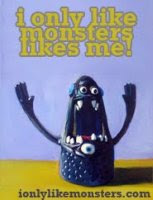 Today I want to do an artist feature of a new artist I found while browsing through the blogs that I follow. 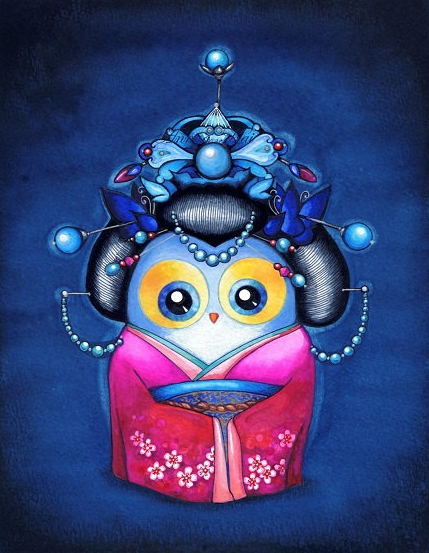 Her name is Annya Kai, and she does these really cute original paintings of elephants, kitties, but mostly of owls which are just too adorable. 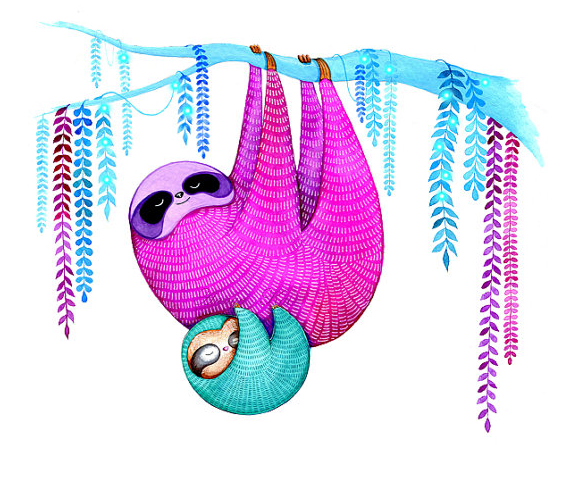 She has a sale right now on Annya Kai's Etsy shop page of buy 2 prints, get the 3rd free. That's not bad. So now, without further ado, here's Annya's work! 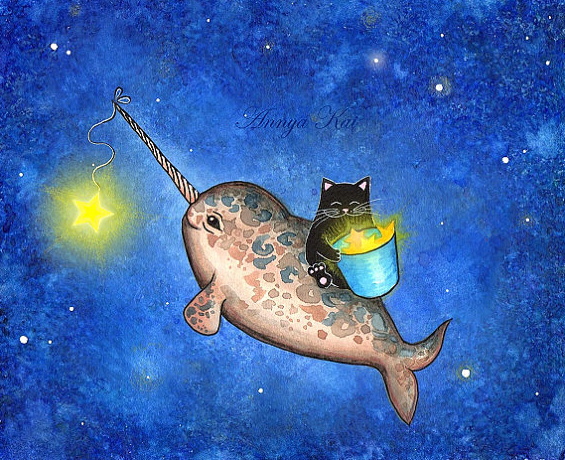 How awesome is it to see a kitty sitting on a cute narwhal whale in the sky? Pretty awesome! 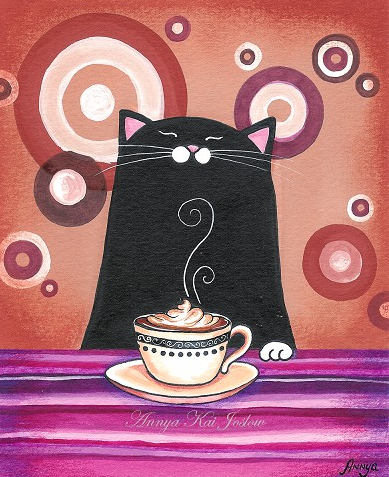 A kitty enjoying a latte, so adorable! 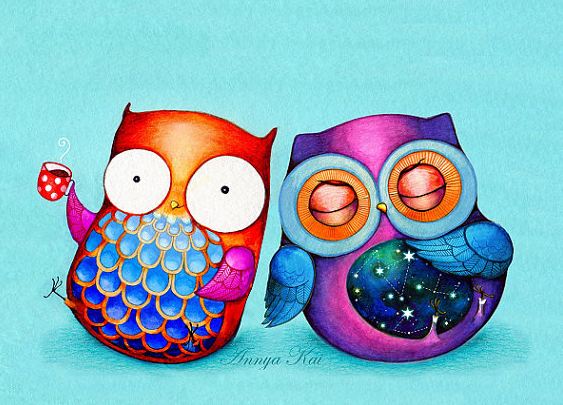 I think what I like best about Annya's work is that she's an owl fanatic. She has tons of cute owls in all different scenarios. 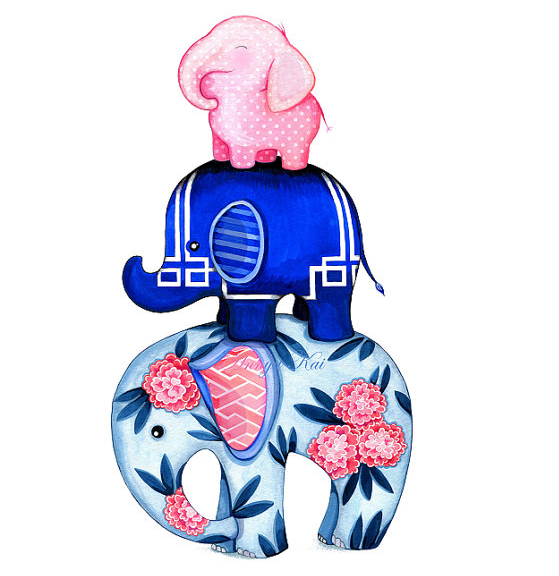 The one on the left is drinking coffee, and the right one has a star map on its belly!